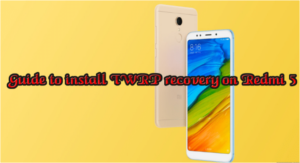 If you are looking for installing the TWRP Recovery on Redmi 5. Then you are at right place here I am providing you with the step by step guide for Redmi 5 smartphone users. Once you installed the TWRP recovery then you will be able to install custom ROM and also you can root your smartphone. The rooting will allow you to make any changes you want to the system. If you have installed the TWRP Recovery then you are is able to flash any custom ROMs and the customization of android OS becomes much easier when you have rooted devices. Redmi Note 5 is a Xiaomi Inc’s developed smartphone and is a part of Xiaomi’s budget Redmi Note smartphone line. It was announced on 14 February 2018 in Delhi, India. The smartphone comes with the amazing specification you can see all specs below if you have no idea about your smartphone features and specs. This smartphone is power by Qualcomm Snapdragon 450 Processor. It has 5.7″ Display with 18:9 Ration based screen. The Phone has the 3300mAh battery life. It has the 2GB/3GB RAM & 16GB/32GB Storage options. It has 13 Megapixel Rear shooter & 5 Megapixel front camera. Also, It comes with Android 7.1.2running MIUI 9 OS. Make Sure that You are Using Redmi 5 device only. This process may cancel your warranty. 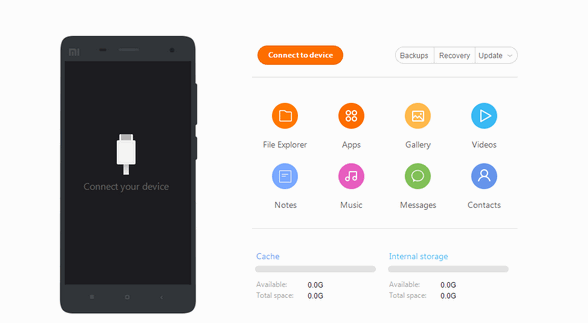 Create the backup of your data before installing the TWRP. This process may lose your data. Our website is not responsible for any kind of claim. After following these steps and install TWRP Recovery, you can flash Magisk to grant root access. Install both Xiaomi USB Driver & ADB Fastboot Drivers correctly. After installing place the downloaded recovery on your computer or you can copy the file to C:\adb. Go to the Recovery folder, Press right click of your mouse while holding the Shift button on the Keyboard. From the options, Select “Open PowerShell window here” or “Open Command Window here”. Turn off your device & boot it into Fastboot mode. Press & hold Power On button + Volume Down button to boot into fastboot mode. Now, Connect the Phone to Computer using USB Cable. On the appearing Command Window, Enter the following command first to check your connection with the computer. So, these were the easy steps by following which you can install TWRP Recovery on your Redmi 5.